The Fijian Competition and Consumer Commission is encouraging Fijians who had made payments in advance and are facing issues in terms of securing a unit or seeking refund with regards to the Lagilagi Housing Project at Jittu Estate in Suva to come forward and report the matter to them. CEO, Joel Abraham says those who have current dealings or have had previous dealings regarding the project shall visit their office and furnish the information along with supporting documents. He says this includes but is not limited to people who have made payments and were promised a housing unit. Abraham says a number of formal complaints have already been recorded by the Fijian Competition and Consumer Commission. 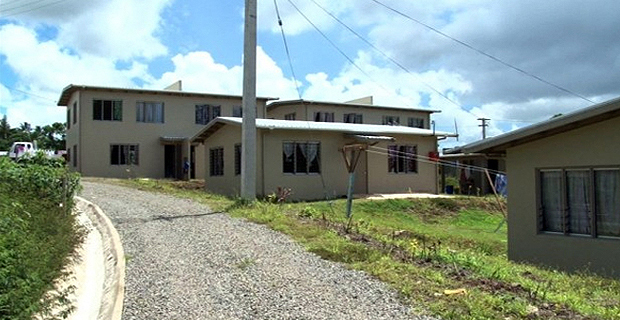 In a joint press conference last month, Minister for Economy Aiyaz Sayed‑Khaiyum had revealed the Fijian Competition and Consumer Commission will carry out an enquiry into the affairs of the People’s Community Network in relation to the Lagilagi Housing project in Jittu Estate, Suva in light of various complaints received by the government. Minister for Housing Premila Kumar had also stated that it is a concern for the Ministry that the project in which the government partnered with People’s Community Network has not been delivered the way it should have been. Meanwhile, Abraham had also said earlier that People’s Community Network will be given a chance to justify themselves. We're still trying to contact PCN.